Pacific City, Oregon (April 11, 2017)—Pelican Brewing Company continues its barrel-aged craft beer series with the release of Father of All Tsunamis, a delicious Imperial Stout Ale aged in rye whiskey barrels. One-upping Pelican’s popular core brew Tsunami Stout is no easy task but Pelican brewers may have come close: they crafted a beer with even more stout character in the new Imperial version. Introducing Father of All Tsunamis. With a nod to the popularity of Mother of All Storms and a vision for creating new recipes that combine beer, spirit and barrel flavors, Pelican continues its quarterly barrel-aged series—next up, Father. 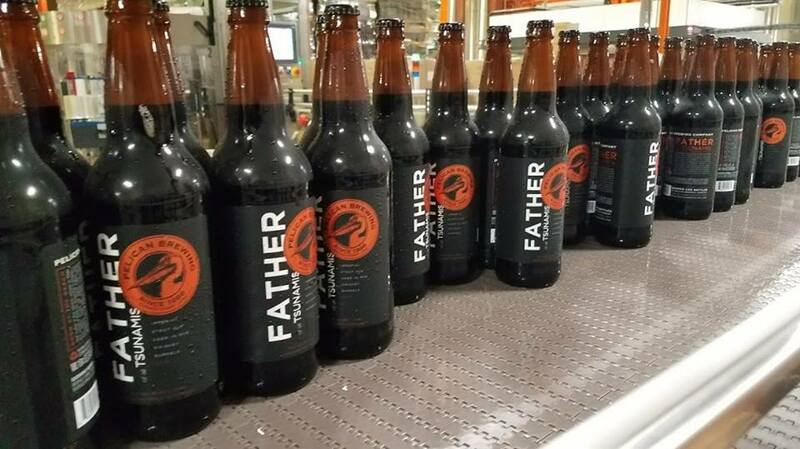 Like all Pelican beers, Father of All Tsunamis is born at the beach by a team of award-winning craft beer makers known for brewing styles of beer that they themselves love to drink. Cheers!